People often contact us after years of wanting to dress and feel better, but not knowing how to go about it. If you’re in the position of needing to build a wardrobe from scratch (read: almost everything you own is outdated, doesn’t fit, doesn’t suit your lifestyle, is worn out), we are here to help! Often, a major life transition is the catalyst to reach out and get help from an expert—whether it’s a promotion, starting a new job, or finally not being either pregnant or breastfeeding after so many years. 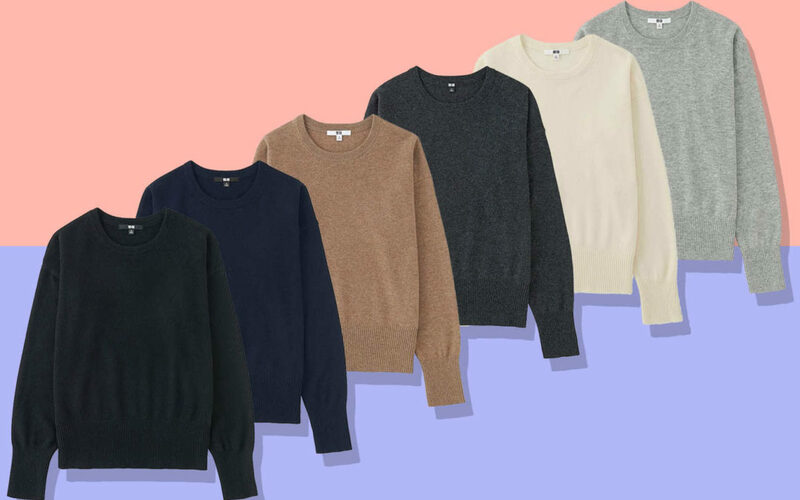 Available in a rainbow of colours, as well as the staple black, heather grey, charcoal and camel, at $99 (and $49 or less, on sale), the versatility and value of this sweater is hard to beat. Wear it casually, or dress it up with a blazer and jewellery. In Toronto, cashmere can easily be worn in three seasons. Slim fit, hemmed at the ankle, with a slightly higher rise, this $100 pant is an updated work trouser for many women who have a closet full of 5-10 year wide-leg, floor-length pants. A staple at Ann Taylor, available in different fabrications and colours. For women who carry more weight in their bottom half, the Curvy (formerly Kate) Fit also works well. A fluid alternative to a button-up dress shirt, and a low-maintenance and cost-effective ($80) alternative to a flowy silk blouse. Easily paired with skirts, trousers, jeans and blazers. 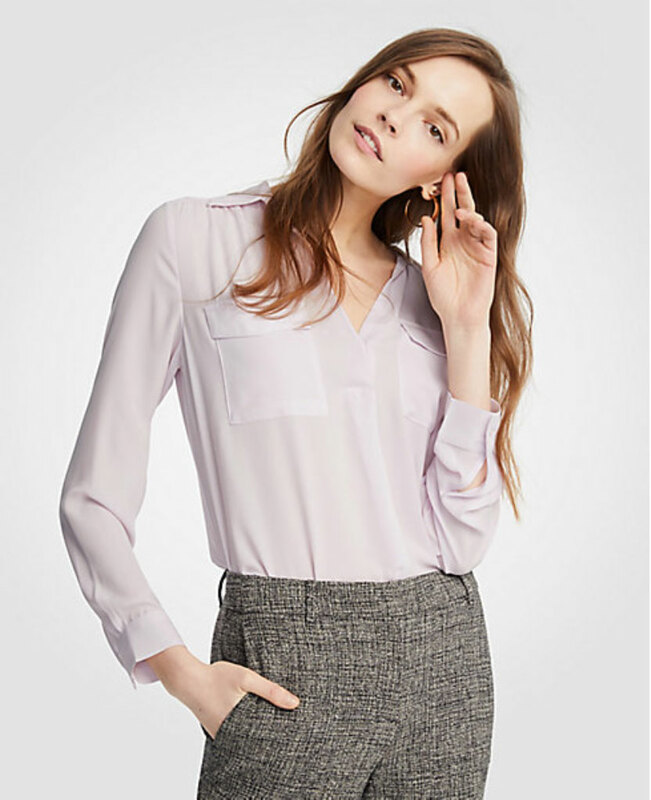 Another fluid alternative to a button-up dress shirt, and a low-maintenance and cost-effective ($98) alternative to a flowy silk blouse that looks much more expensive than it is. Available in a variety of colours, including your necessary white, ivory and black.